Engin Akyurek’s latest Turkish Drama To Death (Olene Kadar) started to be aired on Thursday, January 12th, 2016. However, Thursday is a hard day to survive. There are two other popular Turkish dramas that are competing on Thursday. Now, Turkish audience has to make a hard choice. Which one to watch? You Are My Country (Vatanim Sensin) (Broadcasting network Kanal D): Halit Ergenc and Berguzar Korel tell the story of the last days of Ottoman Empire and appear as a married couple who finds themselves in different sides of the war. Brave and Beautiful (Cesur ve Guzel) (Broadcasting network Star TV). 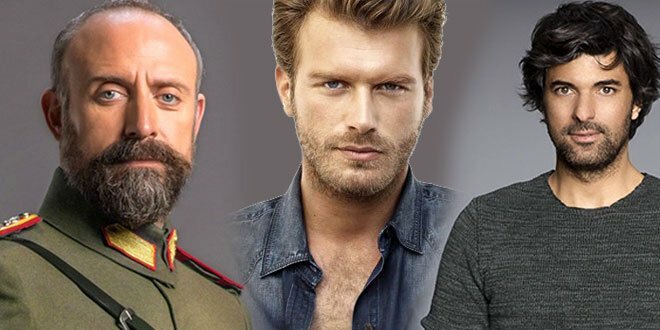 Kivanc Tatlitug and Tuba Buyukustun tell the story of a young man who aims to get the revenge of his father and a young woman who finds love while loses her trust towards her father. To Death (Olene Kadar) (Broadcasting network ATV). Engin Akyurek and Fahriye Evcen tell the story of a young man who is prisoned for 11 years even though he is innocent and an ambitious lawyer who tries to save him from the imprisonment. Evet!!!! Absolutely they are all brilliant actors and everyone has their favorite. At the end of the day you have to prioritize and support your favorite actor, in my case Prince Engin is my favorite. I can always catch the others later on but my support goes to him. Best couple I have seen so far is Savas and Yasemin (Ask ve Ceza — Love and Punishment (2010-2011). Love both of them! Excellent job on the storyline! Difficult to watch the entire Turkish drama series because I need english subtitles and only half of the series gets english subtitles, the rest is turkish. I need to learn tirkish! I hope someday they will produce entire Turkish drama with Elenglish subtitles on DVDs. I would begin a collection! I agree with you 100%. I”m trying to convince someone do translate season 2 for me. I watch everything Murat, Ask ve Ceza ⭐️⭐️⭐️⭐️⭐️in my opinion is his best performance. Kara Sevda is the best Turkish series, and it deserves all awards this year. Burak/Neslihan is the best couple, and their acting is incredible. So intense, so true. beautiful series of Love ad Punishment what a great pair of actors. Love the attraction between Yasemin and Savas. Congratulations to both. Another series that i think wonderful was Gonucelen with Tuba and Calcin. Please finish the translation on this serie, either in English or Spanish.